Last week, the price of one ounce of gold decreased by 22.27 manats or 0.99 percent. The cost of gold increased by 9.73 manats (0.4 percent) to 2250.528 manats per troy ounce in Azerbaijan on March 12, according to the data published by the country’s Central Bank. The official rate of the US dollar and the euro to the Azerbaijani manat as of May 29 is set at 1.0494 manats and 1.1498 manats, respectively. The official rate of the US dollar and the euro against the Azerbaijani manat as of May 15 was set at 1.0472 manats and 1.1946 manats, respectively. The official exchange rate of US dollar and euro to Azerbaijani manat was set at 1.0494 manats and 1.151 manats, respectively as of Apr.29. The leading company extracting precious metals in Azerbaijan, Anglo Asian Mining plc, increased gold production by over 50 percent in the first quarter of 2015. 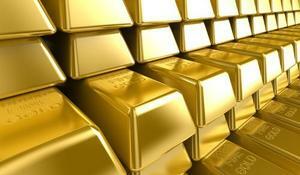 Azerbaijan will use innovative technologies for the extraction of precious metals.